A fan project that ran for nearly ten years recently came to a close… or perhaps it’s only just begun. However you want to look at it, Wing Commander Saga is now available for download at multiple major gaming websites. There is even a torrent available for a no-waiting, download now kind of experience. The game was made in the open sourced Free Space 2 engine, and has been polished more and more as the years went on. Since the root engine is so old, you can play it at max resolution on a current gen system and easily maintain an over-30-frames-per-second average. 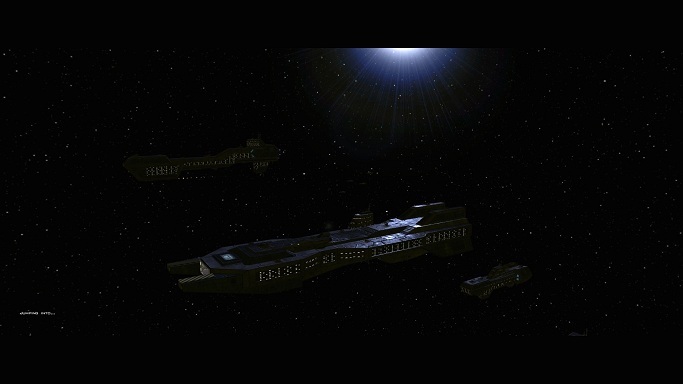 It’s now a full blown Wing Commander game in every sense of the word except legally. There is such strong fan support behind this that if EA, the current holders of the Wing Commander name, tries to shut these guys down, there will be an outcry from the fans. The projects been well publicized for the better part of a decade, they knew it was coming – if they try to step in now that it’s been released? It’s too late. But I won’t rain on anyone’s parade. Head on over to WCSaga.com and check out the details!